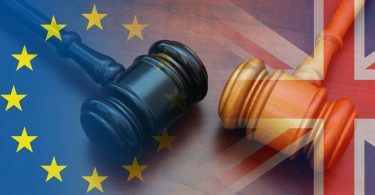 Here Martin Howe QC, Chairman of Lawyers for Britain, gives his first assessment of the Political Declaration agreed by EU leaders on 25 November 2018 as a companion for the draft Withdrawal Agreement. A shortened version of this piece appeared in the Sunday Telegraph on 25 November 2018 under the title “May’s capitulations are catastrophically incompetent“. 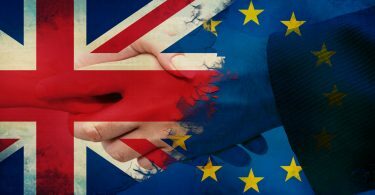 The political declaration (PD) finalised by EU leaders on 25 November 2018 is supposed to outline the future relationship between the EU and the UK. In fact it is no more than a starting point for long and complex negotiations, which leaves many important points of principle as well as detail unresolved. The key point to grasp is that this declaration is not legally binding, whereas the Withdrawal Agreement (WA) will be. So the starting point of the negotiations will be that the UK is already legally locked in to the hugely damaging terms in the WA, but the terms the UK wants are only in the non-binding political declaration. The Protocol will lock the whole UK into slavishly applying EU customs rules and tariffs, preventing the UK from pursuing an independent trade policy. 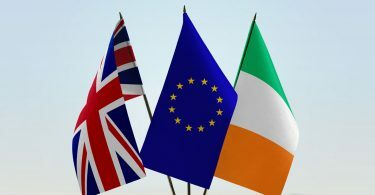 More seriously, it will gravely damage the United Kingdom by requiring Northern Ireland to be a permanent EU vassal, subject to a wide range of EU laws over which neither Northern Ireland or the UK will have any say. Given this nightmarish alternative if a deal is not reached on whatever terms the EU chooses to demand, the UK’s negotiating position will be incredibly weak. But in an act of great folly, the government has contrived to make it even weaker. Paras 120-123 of the PD say that the future relationship will be based on “an overarching institutional relationship covering chapters and linked agreements”, and that this could take the form of an Association Agreement. 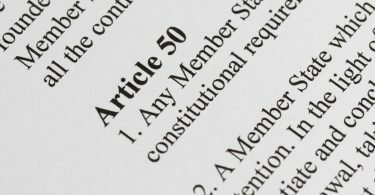 Making it an Association Agreement automatically means under the EU’s treaties that it must be approved unanimously by each and every Member State rather than by QMV. Linking together the trade and non-trade aspects of the agreement means that it will be a so-called “mixed competence” agreement under EU law. That means that each Member State must be a party to it and ratify it, in addition to the EU itself being a party. This hands a legal right of veto over the conclusion of the future UK-EU agreement to each of the 27 Member States – and indeed to such bodies as the Parliament of Wallonia which held up the Canada deal. So one individual member state acting alone will have the power to plunge the UK into the backstop Protocol. This means for example that the Spanish have no need to get wording put into the PD to achieve their aims over Gibraltar. They can wait to plunge the knife in at the point when they will have a legal veto over the UK escaping from the backstop. 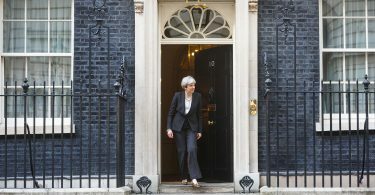 Theresa May’s loud and voluble protestations that she will protect Gibraltar from Spanish incursions into its sovereignty are completely worthless, because she is handing to Spain the legal power to insist on its terms for Gibraltar as its price for allowing the UK to escape from the disastrous backstop Protocol. The PD has a number of warm words and phrases which have been inserted into it in a fairly transparent attempt by the EU to help Theresa May with her political difficulties in selling the deal. When examined carefully, these mean little or nothing, or are contradicted elsewhere in the text. Theresa May claims to have negotiated an alternative to the backstop which would involve “facilitative arrangements and technologies” to enforce the Northern Ireland border. In fact para 27 just says that this alternative “will be considered”. It costs the EU nothing to put this paragraph in, because (apart from the fact that it is not legally binding in the first place) they can politely say in due course that they have “considered” this alternative and do not find it satisfactory. Warm words have been inserted in para 4 about respecting the development of the UK’s independent trade policy. These however are contradicted by other parts of the PD. It is claimed that the PD would allow for a Canada-style Free Trade Agreement with the EU. It does not. The EU’s agreement with Canada is a conventional free trade agreement (FTA) which allows each party to pursue its own independent trade policy and set its own tariffs with third countries. This is because, in compliance with Art.XXIV of GATT, the FTA applies zero tariffs to goods “originating in” the EU or Canada, but not to goods which enter the EU or Canada from third countries. So goods which originate outside the EU or Canada but enter from third countries and travel between them are not entitled to zero tariffs. This is enforced by “rules of origin” checks which prevent third country exporters from wrongly benefiting by sending goods into the EU via Canada if Canada has lower tariffs, or vice versa. The presence of rules of origin checks is essential in order for each party to an FTA to operate its tariff policy with third countries independently of each other. Para 23 of the PD actually rules out a conventional FTA of the kind the EU has with Canada. It provides for zero tariffs between the UK and the EU, but says that it will “build on and improve on the single customs territory provided for in the Withdrawal Agreement” – which is a customs union, not a free trade deal – and also that there will be no rules of origin checks. The EU has a huge (£95bn) surplus in goods trade with the UK. This gives the EU a big self interest not only in having tariff-free access for its goods exports into the UK market, but also in forcing the UK to maintain the EU’s high tariffs against competing goods from other countries. This is advantageous to EU exporters, but catastrophically damaging to the UK. It prevents the UK from lowering tariffs if we want in order to benefit our consumers. More importantly, it kills stone dead the possibility of forging trade deals with fast growing economies around the world. They are not going to give us free trade in our services exports if we can’t offer concessions in return on their goods exports to us. Given the wording of para 23, and the fact that if we fall back into the backstop we will have to do it anyway, the EU will be able to insist that the long term agreement must bind the UK to follow the EU’s external tariffs. As to the mentions of independent trade policy, the EU will say that you can still do services-only agreements, even though in reality that is practically worthless. The PD contains no specific recognition of any right of the UK to operate its tariff policy independently of the EU, and para 23 would appear to rule this out. Para 75 of the PD says that there will be a new fisheries agreement on “access to waters and quota shares”. Theresa May apparently claims some sort of victory in resisting wording which explicitly links access by EU boats to UK waters to the trade agreement. But it remains EU policy to create this linkage. Even if the EU were not to insist on it, several individual EU states are likely to use their veto powers to demand continued access to UK waters as the price of a deal. If the UK is pushed into the backstop, the Protocol contains clauses designed to damage the UK fishing industry by excluding fish products from free access to the EU market. Theresa May has rolled over before on protecting the fishing industry, when she ignominiously caved in to the EU’s raw power demands that the CFP should continue through the transition period. Why should anyone believe her assurance that she will not roll over again? 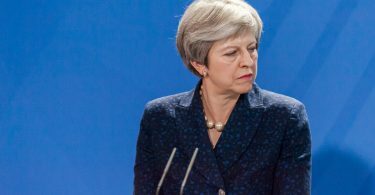 Indeed, it is remarkable that Theresa May’s famous obstinacy and “difficult woman” personality now seems entirely directed against those who oppose the series of capitulations she has made to the EU, many of which breach her election manifesto and the promises she has previously made. When it comes to caving in to EU demands, she is as flexible as a limp lettuce. 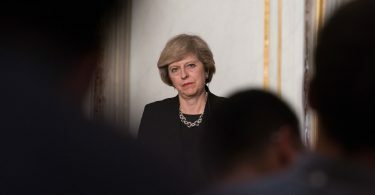 She has conducted the negotiations with the EU with catastrophic incompetence at every stage. She has repeatedly allowed the EU to use the ticking clock against the UK. 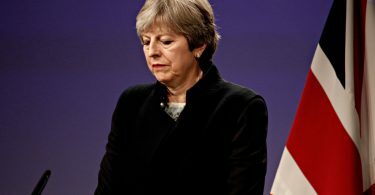 At each point, she has thrown away powerful negotiating cards and gravely weakened the UK’s position in the next round in return for nothing more than the right to carry on negotiating. This pattern of behaviour is continued with this political declaration – not legally binding, and so riven with vagueness and internal contradictions as to be virtually worthless even if it had legal force. By signing the legally binding WA in advance of entering negotiations on the future relationship, she will have thrown away in advance the UK’s two most powerful cards, which are (1) making huge payments into EU budget which we do not owe under international law, and (2) giving access for EU goods exports into the UK market. Worse still, she will have forced whoever becomes her successor to negotiate under the guillotine of the ‘backstop’ Protocol which will come into force at the behest of the EU or of any one of a the 27 EU Member States which has a demand to make of the UK.